This guide walks you through the ins and outs of invoicing—everything from templates and workflow to handling late-paying clients. How is an invoice different than a receipt? If you own a business that’s centred around clients or services, invoicing is a huge part of the game. This guide walks you through the ins and outs of invoicing—everything from templates and workflow to handling late-paying clients. You’ll come away with tips and tricks that make invoicing a breeze. An invoice is a record of the items or services you provided to your customers and a method for them to pay you for those items or services. 2. How do you create an invoice? Square has ready-to-go, professional-looking invoice templates that you can customise in minutes. 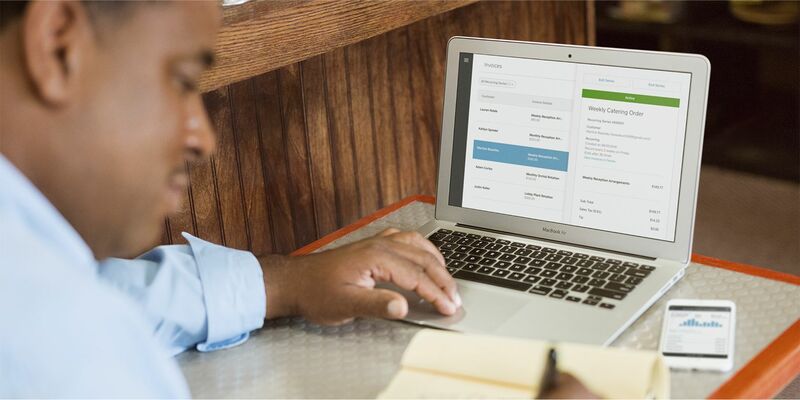 Square Invoices lets you create, send and manage invoices and payments right from your Square Dashboard. 3. How do you send an invoice? 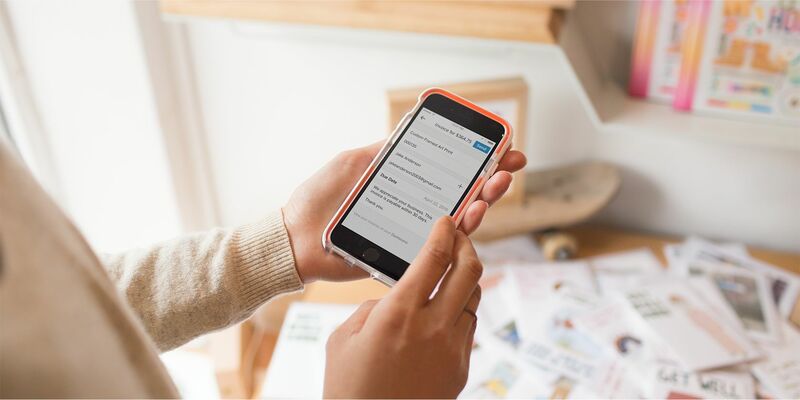 You can send digital invoices straight to customers’ inboxes through Square Invoices. 4. How do you manage invoices? The easiest way to manage and keep track of invoices is through an online invoicing system. Invoicing software lets you quickly and easily send professional invoices right from your desktop or mobile device. Customers can pay with just one click, and you can keep track of who has paid and who is late in one centralised dashboard. Traditionally, manual tasks like bookkeeping and invoice numbering are all done on the back end, so it’s easy to keep a close eye on your cash flow. 5. How do you select the right invoice system? Your invoicing system should make it easy to quickly send and track invoices. Select a system that makes it seamless to create and distribute invoices to your clients and easily collect payment. 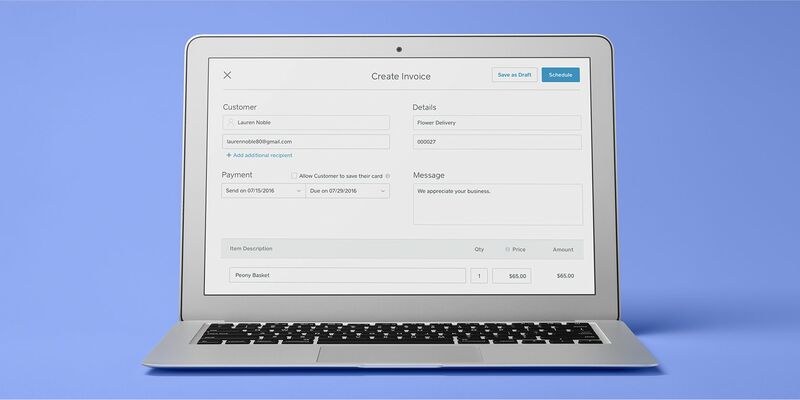 Get started with Square Invoices. Invoices are always free to send and track. Pay one low rate per invoice when customers pay with credit or debit online. First, the basics. An invoice is a record of the goods or services you provide to your clients and customers, and a method by which they can pay you for those goods or services. If you’re a contractor who fixed a roof, a makeup artist who styled a photoshoot or a bakery that catered an event, it’s likely you need to send an invoice. Invoices (and bills) are legally enforceable documents used to request payment from clients or customers. They often come with agreed-upon terms and conditions, such as the payment due date for the services rendered. A receipt is documentation that payment has been received to authorise a sale, which can be used as proof of ownership. Having a solid handle on all things invoicing is paramount to the success of your business. If you let things fall to the wayside or have a disorderly invoicing process, it could send the signal that you’re unprofessional. Especially when you’re dealing with costly projects (say, if you’re an event planner or contractor), that’s not exactly great for your brand—or for getting repeat customers. A proper invoicing process and workflow is also crucial to manage your accounting. If you let invoices pile up, or if the process is confusing to your clients, it’s likely your invoices take an excessive amount of time to get settled. This is bad news when it comes to your cash flow management, and a big hassle when it comes to your accounting. Invoicing is also extremely important for tax reasons. When you run your own business, you need to keep meticulous records of all cash in and out—which includes copies of all invoices. So, if you’re just starting out (or if you’re already established and are having trouble staying on top of things), it’s essential that you spend some time learning how to invoice professionally and efficiently. Your bottom line (and your accountant) will thank you. If you’re doing a large job, you might want to create a proposal or bid for the work. It should detail what you expect the services to cost when all is said and done. Be sure to make it clear to everyone that these are estimates for the work, not the final charge. It may make sense to issue interim invoices that allow clients or customers to pay for chunks of work at a time, rather than in one big lump sum when everything is completed. Interim invoices should be followed by one final invoice detailing all the work (and what’s been paid for). If you have a company that does regular, recurring work for clients (say, if you’re a housekeeper or a dog walker), you may want to send recurring invoices at regular (agreed-upon) intervals (weekly or monthly, for example). 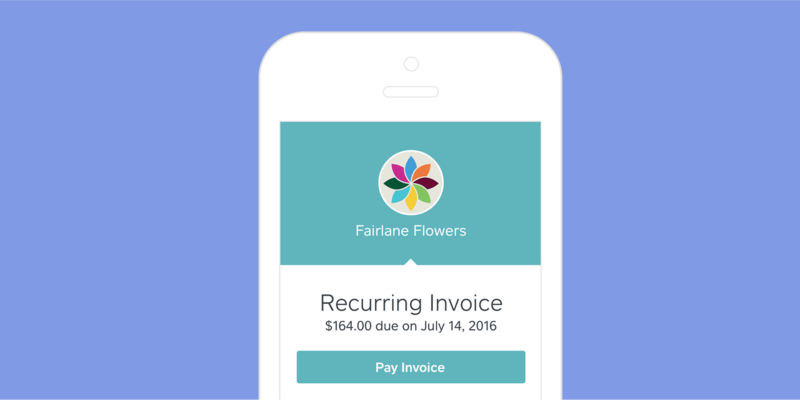 Recurring payments are easy to set up with Square Invoices and simplify billing by ensuring you get paid each month, week, day or even year. A final invoice details all the services rendered for a particular job or project. If there were interim invoices issued throughout the project, the final invoice should list those, as well as the final amount outstanding. We go through everything you should include on a final invoice in a later section. If a client hasn’t paid an invoice, you may need to send another invoice for any charges resulting from late payments (which were previously detailed in your terms and conditions). *Note that Square does not provide VAT invoice software, and this guide will not detail what is required in a VAT or tax invoice. Make sure you contact a tax expert to learn more about the requirements for VAT invoices. Invoices made easy for you and your customers. Send and track invoices free online in just a few steps, and make it easy for your customers to pay. Snail mail is, well, slow. So, by nature, the turnaround time for getting paid by post is sluggish. What’s more, if a client pays via cheque, the funds can take a while to clear, whereas credit or debit card charges are typically deposited into your account within a few business days. With Square Invoices, you can send professional invoices straight to your customers’ email inboxes, where they have the option to pay with just a click. 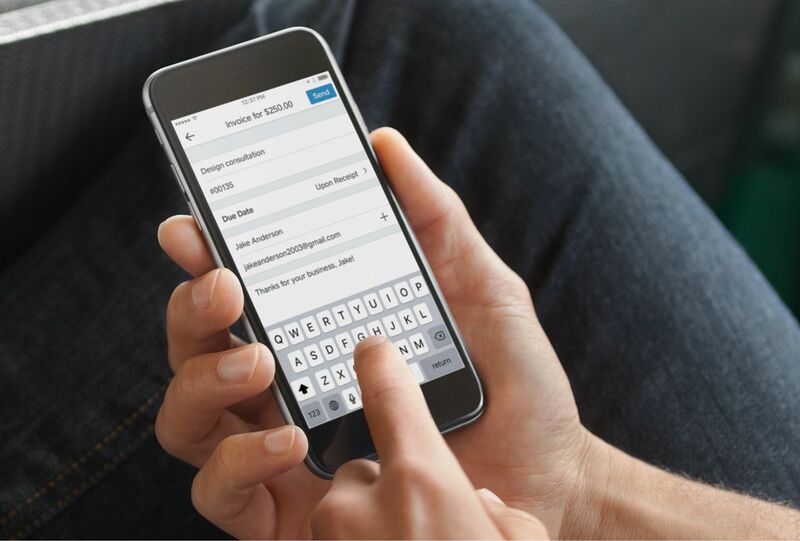 On average, invoices sent through Square get paid within the next business day. Online invoicing can significantly cut down on time-consuming administrative tasks and help ensure timely payments. We talked about cash flow earlier, and another way to mitigate any problems is to opt for online invoices. Faster payments mean you’re more likely to stay in the green. Paper invoices have a tendency to pile up—or get lost in the depths of file cabinets. Square Invoices automatically saves all your invoices in your Square Dashboard, so they’re easy to find when you need to reference them. They’re also much easier to track. The tool automatically filters your invoices by what’s been paid and what’s outstanding, so you can quickly see which clients you need to follow up with. You can send invoices with Square directly from your mobile device (in the Square app), which is super-handy when you’re out in the field. The ability to send an invoice right after you’ve completed a job helps avoid unnecessary administrative time back at your computer. Square Invoices features a professional-looking template in which you can fill in all the pertinent information related to the project or job. We also take things a step further and include an area where it’s easy for a customer to leave a tip or send feedback. Not ready to make the move to invoicing software? Square also offers free invoicing templates for download. While what to include on your invoice may vary from business type to business type (a dentist may want to list procedure codes for insurance reasons, for example), there are some general best practices. Taxes, fees, and discounts, if applicable. Having everything clearly detailed helps streamline your accounting and makes the invoice easier for your customers to read and understand. Spending time up front to implement a scalable invoicing workflow can save you time and money in the long run. You’re not going to get paid if you don’t send an invoice. So, the first rule of invoice management is to send invoices right after you’ve completed a job. This is easy to do with Square Invoices, which lets you create and send invoices straight from the Square app on the spot. Sometimes it’s not the actual client who’s taking care of the invoice. Maybe it’s an accountant doing the bookkeeping, or maybe it’s the parent who’s paying for those wedding flowers. With Square Invoices, you can email both your client as well as whoever’s paying so you can get your money as quickly as possible. Online invoicing helps keep things from getting “lost in the post.” Since online invoices are sent digitally, it’s always easy for clients to find them—all they need to do is search their inbox (rather than their junk mail pile). You need to clearly outline your terms and conditions both ahead of time and on the final invoice. This includes any late fees associated with delinquent payments. Having everything in writing is key to preventing uncomfortable back-and-forth communications. You should have records of all your invoices in one, organised location. This is crucial not only for bookkeeping and tax purposes but also for staying on top of things. With Square Invoices, everything is stored right in your Dashboard and sorted by status. Based on some trends and data we’ve seen, here are some things you can do to ensure your invoices get paid quickly. Leverage these smart strategies to ensure your invoices are paid quickly and seamlessly. Send invoices to clients on Thursdays. We’ve found that invoices sent on Thursdays have the highest likelihood of being paid within two days. Customise the due date of each invoice. With Square Invoices, you can add a message for the recipient to request that the customer issue payment upon receipt. This can lead to speedier payment returns. Avoid invoicing clients on Sundays. People are least likely to pay an invoice received on Sunday—it’s the laziest day of the week, after all. Sometimes, people forget to pay. But Square Invoices makes it super-easy to follow up with your unforthcoming pounds. Because everything is sorted in your Dashboard by what’s been paid and what hasn’t, you can quickly go in and hit the Resend button for anyone who might need a reminder. That saves you the time of having to sit down and craft a bunch of awkward emails.